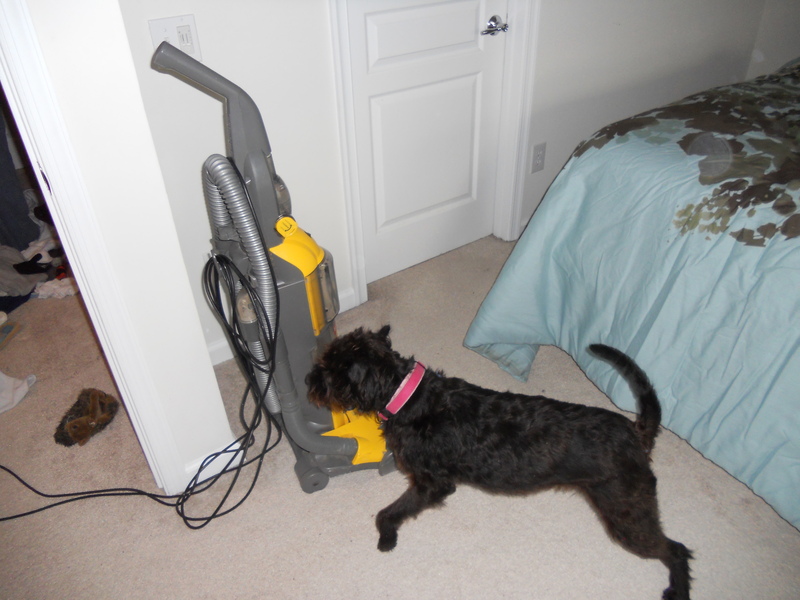 Is your dog afraid of the BIG BAD….VACUUM? Mine is, always has been, always WON’T be! Ever since we rescued her around 8 weeks old (we think), she has been terrified of the vacuum and noises that sound similar to a vacuum (blowdryers, electric razors, etc.). At around 3 months old my mother turned on the hair dryer and she peed. The pattern continued every time someone turned on the vacuum. We knew that vacuuming with the dog in the house was not an option. Her fear progressed to “attacking” the vacuum and barking at it. Her fear has lessened over time and she’s okay having a vacuum (not on) in the same room, and fine with hair dryers and electric razors as long as she’s not the victim of them. Dogs can have many fears, little and big. There are many things Oreo and I still need to work on, but I’m hoping that conquering her fear of the vacuum is one that can be attained in a shorter amount of time. If she never does, I can live with management, but why not make her feel more confident and comfortable? Hey, it would also help us so we can vacuum more often without one of us taking her outside. I have recently been reviewing books about training. One book is called “Do Over Dogs Give Your Dog a Second Chance for a First Class Life” by Pat Miller. This book is very helpful to people looking to adopt a dog with issues and give it another chance at life as Pat Miller says. It discusses finding a dog, testing a dog, figuring out how many issues you want/can work with, and gives tips on training your “Do-Over dog.” It is a quick read that ends with inspirational stories of dogs with happy endings. I am using the counter-conditioning and desensitization plan mentioned in the book. Before I started: Determine distance that dog is alert but not extremely fearful towards the vacuum (threshold distance). Oreo is okay being next to the vacuum without it moving or running, so I am using that as my starting point. Step 1: When I take the vacuum out (not moving, not on) I instantly start feeding her yummy treats (steak yummm). The best thing is to have a helper to put the vacuum in view, then put it away, while you have the dog on a leash. Step 3: I will keep repeating steps 1 & 2 until the vacuum causes my dog to look at me happily for treats. Pat says this is called a “conditioned emotional response” the dog’s association with the vacuum (non-running not moving) at that distance is positive instead of negative. Step 4: Next, I would increase the intensity. This time I would give her more distance while moving the vacuum (obviously I need a helper). Instead, I will repeat steps 1 & 2, but this time with the vacuum moving, but not on. The distance gives her space to feel more comfortable. Step 5: I will continue doing steps 1 & 2 with the moving vacuum (not on) and decrease the distance over time when she is happy at the current distance, until she is happily looking at me for treats and not anxious. Step 6: When the dog is happy to have the moving vacuum right next to her (not on), then it’s time for the next steps of having the vacuum on. Now I will move her back to a further distance, with no movement, and have a helper turn the vacuum on for a few seconds (or just one depending on your dog), and treat her continually until the vacuum is off. Step 7: Now I will increase the amount of time with the vacuum on (but not moving) and continue treating Oreo. Step 8: When Oreo is happy to have it on continuously, it’s time to decrease the distance in small increments while repeating steps 1 & 2 but with a vacuum that is on and not moving. Step 9: When Oreo is happy to have the running, stationary vacuum next to her I’m ready for the final step. This time, I will move her back to a further distance, and have the running vacuum move, and eventually decrease the distance and so forth (you get the hang of it). Then eventually she will be happy to have a running vacuum on. Some people may think this is broken down into TOO many steps, but if you have a fearful dog, this is what you NEED to do. You need to break it down into small steps that your dog can handle. I hope to increase her confidence by having her comfortable around the vacuum (hey, it wouldn’t be too bad for me either!). I have many things that may take months or years for her to get over (her fear of other dogs for example), if she ever gets over it at all. Hey, if I was attacked out of the blue by someone on a walk in my neighborhood, I wouldn’t feel safe walking around with strangers nearby either. I am going to take some time to conquer other fears that might be more attainable in a shorter amount of time to help her feel more successful as well as me. I started her training with the vacuum today and will update you all on our progress! If you have a dog or cat with allergies, you know how frustrating it can be. I have tried so many different supplements, allergy pills, and other items. I will tell you what works for US. It doesn’t mean it will work for anyone else, but if you are struggling with allergies perhaps it will help. I know the pain and agony of bringing the dog to the vet continually to get antibiotics which seem to help for a few weeks, then you are back at the vet again. Unfortunately, as some of you already know, my conventional vet failed me when it came to allergies. She just kept recommending different types of antihistamines which didn’t work and didn’t even suggest a food allergy test. This is when I went to Smith Ridge where they combine conventional with complementary therapy (totally recommend looking at all choices). Some of the things they recommended work, some I figured out on my own or other dog owners have helped me. This doesn’t mean it will work for you, but I hope it helps. clean her ears at least once a week with WITCH HAZEL (no alcohol) I recommend Thayers. This has worked MIRACLES for us! I put some on a cotton ball and wipe the inside of her ears. I don’t even have to use harsh ear wash that irritates her or put drops in her ears (which she HATES). supplement that has really helped: http://www.onlynaturalpet.com/products/Seven-Forests-Quercenol-Dog-Herbal/105004.aspx it’s quercenol-it helps the immune system, liver, and allergies. It is especially helpful with itchy skin, ears, and paws due to allergies. You can read more about it at the link above. I got it from the vet when she told me about it, but you can order it online too. Keeping stress down. When her stress builds up her immune system is weak, therefore, allowing allergies to bother her more. Keeping stress down is easier said than done (as all of us reactive dog moms/dads know). Got her food allergy test done. If your dog has seasonal allergies I really think you should still get a food allergy test because you NEVER know! Organic Extra Virgin Coconut Oil-This is the similar to giving your dog fish oil pills, but Oreo is allergic to those. I add about 1/2 a teaspoon to her food every day. Here is an article about the health benefits of coconut oil for your dog. http://www.dogsnaturallymagazine.com/the-health-benefits-of-coconut-oil/ Make sure you get ORGANIC EXTRA VIRGIN coconut oil. Bathing her-once a week or once every 2 weeks. I neglected this recently since she doesn’t love baths, but gave her one this morning since she is getting super itchy. I definitely notice a difference in the severity of her itching if I don’t give her a bath for a few weeks. Last but not least natural hydrocortisone from the yam plant. If you have never heard of this ask your vet if your dog is on hydrocortisone-the natural kind has less side effects. It is also mentioned in the article below. I have been feeding Oreo homemade food for quite some time now and have seen great results. When I first started researching recipes for dog food, I found it incredibly overwhelming. Many books had very detailed recipes that would take hours to concoct with many different supplements and exact details for amounts and percentages. I almost gave up on deciding to do homemade, but realized I can’t be exact all the time with everything and supplements will help. Some days I also feed her kibble, treats, and different supplements to ensure she is getting what she needs. It’s also important to remember that dogs at different ages need different types of food and supplements. As for the cost, some people say it’s cheaper, some more expensive. It depends on what foods you are buying, where, and how many dogs you have. I like to make big batches (at least 2 weeks worth) of dog food so that I don’t have to make it all the time (it can be time consuming-cooks for 30 min but can take 10-20 minutes to create, then you have to cool, cut, and put in baggies). Different websites and books say dogs should have different amounts of protein, carbohydrates, fat, vitamins, and minerals. I am not going to recommend a certain percent, but suggest you do your research with a mix of different websites, books, or talk to a nutritionist. Make sure you remember food that dogs are allergic to such as onions, raisins, grapes, chocolate, etc. I buy a few pounds of ground turkey and ground beef (make sure it’s not too fatty). I make 2 separate bowls (one with each kind of meat)and put some kind of green vegetable (broccoli, zucchini, etc). Make sure to blend to make it small so it’s easy to digest. Some people say no veggies for dogs, but I add a few. I mix them all together and make it like a meatloaf but in casserole pans with olive oil on the bottom so it doesn’t stick. I put them in the oven for around 30 minutes at 350 degrees. I let it cool then put it in baggies and freeze most of it. When feeding, I add virgin organic coconut oil (a substitute to fish oil since she is allergic), I also add calcium supplement (powder), and probiotic. She LOVES it! If you have any suggestions on something I may be missing feel free to let me know! Obviously, most of my recipes (at least 80-90%) is meat, then a small amount of carbs (rice) and an even smaller amount of veggies). Sometimes I also add spices such as parsley. 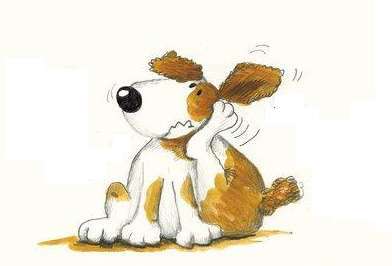 Is your dog itching? Scratching? Have dry skin? Does your dog frequently vomit or have loose stools? Does your dog have yeast infections? It could be food allergies or the dog food you are feeding. You seriously don’t want to know what’s in some dog food. I recently read a few books about dog diets and not only are additives in there, but parts of animals that aren’t allowed in human food…and worse-but I will spare you the details because I now know, but wish I didn’t! There are many canned and kibble foods on the market that are higher quality including organic foods, Innova, nature’s variety, and many more. Your typical dog food at the grocery store contains many, many things that your dog doesn’t get nutrition from and that can’t be digested. I started Oreo off on a regular kibble, probably Purina or some store brand when she was younger, but quickly changed her to a petsmart brand. After a few months I wanted something better so I changed her to Blue Buffalo, but found she was throwing up and getting sick all the time. Eventually, I changed her to Nature’s Variety Limited Ingredients because I knew she must have allergies. She did better on some of the protein sources than others. I changed her treats constantly, thinking she had a gluten allergy! I even wrote many blog entries with recipes for gluten-free treat recipes and food…turns out I was COMPLETELY wrong!! Food Allergies are Tricksters! If you suspect your dog has food allergies, GET THEM TESTED! I didn’t even know there was a food test for dog food allergies until I went to Smith Ridge Vet Clinic. My other Vet never even suggested it when I went to them with problems. They just said to give the dog treats in the evening because she was not getting food in her stomach and that caused her to get sick in the morning-WRONG! It only takes a few minutes to get blood from the dog, then they send it away. The test shows scores starting at 0 and going up for each food tested. 0-99 is negative food allergy, 100-5,000 is positive. Wow-5,000 allergies must cause death because that is SO high. Most of Oreo’s scores are actually high-in the 70’s or 80’s. Some are almost at 100-which is when the dog is proclaimed allergic: Green Peas she scored a 96 on-so I will avoid them-along with peanuts which scored 89. Her highest allergies were Alfalfa (298) and Salmon (272). That makes sense because one time I tried her on a Salmon food and she was REALLY sick with vomiting. I was surprised she wasn’t allergic to wheat or chicken. After the vet visit I stopped giving her chicken and she almost improved 90% the next day. I will stay away from chicken anyways. 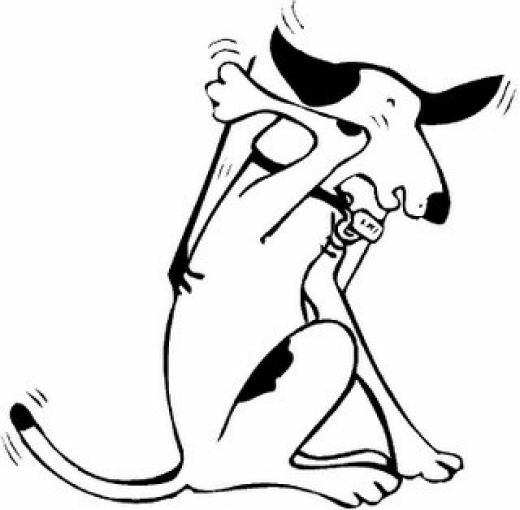 It’s very important to get your dog tested if you see them constantly itching year round, have frequent ear infections, get sick frequently, have loose stools or vomiting. I thought it was just seasonal or other food allergies. When in doubt-CHECK IT OUT! I wanted to feed my dog raw-but she just doesn’t want it. So I now make homemade food. I thought it would be a giant hassle-it felt like it in the beginning, but now I buy large quantities and make food for 2 or more weeks and freeze it. This makes it soo much easier. I usually buy ground up turkey or beef or pot roast (I try to find things on sale). I add veggies like broccoli (put it in the blender so the dog can digest it), and brown rice. I also add supplements like calcium, coconut oil, and probiotic. She also gets other treats and bones which add to her diet. Food allergies are tricky, just when you think you have figured them out, you haven’t. No need for lengthy food trials-just get the test. It is more expensive to get the food allergy test, but in the long run you will save money because you aren’t wasting so much food trying to figure things out. I gave away so much food it was unbelievable. It’s 4th of July-so happy 4th to everyone!!! Please keep your dogs indoors or on leashes so they don’t run away with the fireworks. 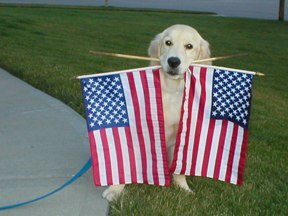 More dogs go missing on the 4th than any other day! If your dog is afraid of loud noises or fireworks try having a “party” with games, tons of treats, and fun. Try a thundershirt or tricks with your dogs. You can try calming scents or calming supplements or treats. Trust me…it’s worth it! Think of when you are very anxious or having a panic attack…they feel the same way!